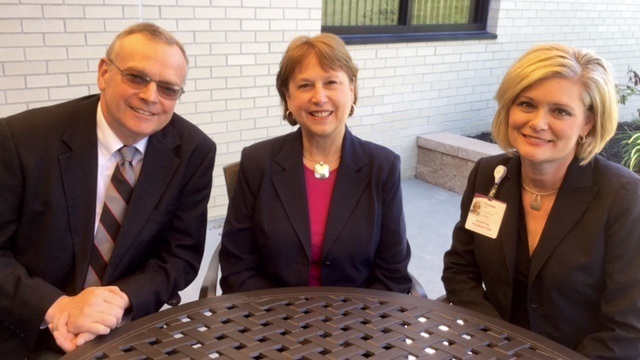 Northwest Hospital Foundation chairperson Frank Gill (left) and executive director Theresa Edder (right) welcome Kay Ensle (center) who is joining the foundation as executive assistant. Northwest Hospital Foundation is pleased to announce Kay Ensle is joining the staff as executive assistant to support growth initiatives. Ensle will provide administrative support to the executive director, including donor research and data management, financial and goal reporting, and social media communications.